Kerasmatic has delivered a beautiful filly on Aug 19/08. 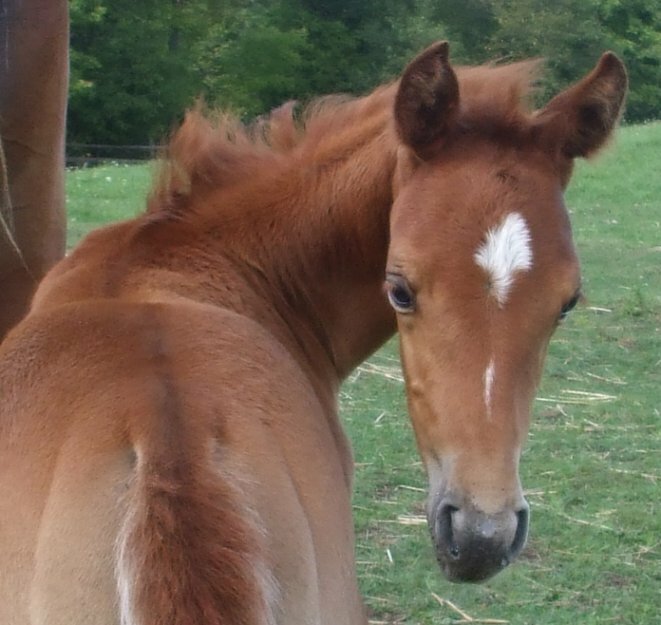 She gave us a gorgeous chestnut filly with white socks and a diamond for a star. We think this filly is going to very much like her mother in looks and colouring when done..Please see links to dam and sire for more information on Krissy's parents below.